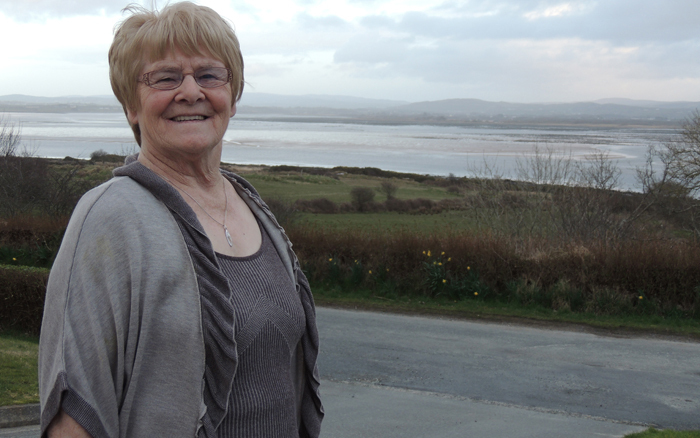 On Saturday night an Isle of Doagh grandmother becomes the latest Inishowen contestant to take her place on RTE’s ‘Winning Streak’. Rose McLaughlin, from Figart on the Isle of Doagh, says she is excited but ‘a bit nervous’ ahead of her appearance on the country’s most watched TV gameshow. Luckily Rose doesn’t have to far to go for advice. Her son John scooped £17,500 on ‘Winning Streak’ in 1997 after a ticket bearing his baby son Dean’s name was pulled out. John’s midas touch appears to have rubbed off on his mother too as it was he who posted the winning three-star ticket, chosen by Marty Whelan last weekend. The omens have been good for Rose recently. She had two lucrative wins at the bingo, including €100 in Clonmany a fortnight ago. It was also in Clonmany where she bought her ‘Winning Streak’ scratch card, at Joyce’s Centra supermarket.